With Virat Kohli rested for the series, Rohit Sharma will continue to lead the side. India could play both MS Dhoni and Pant for the first game. 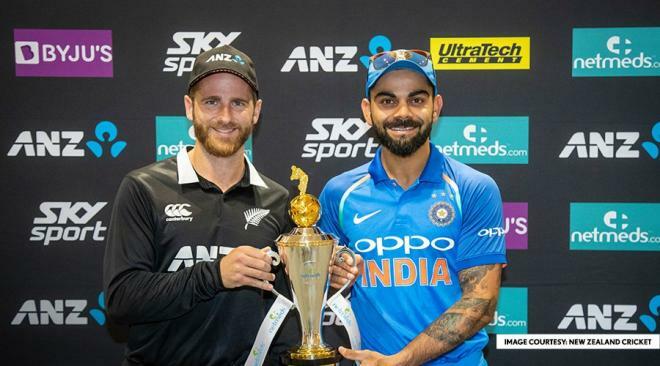 The 1st T20 between India vs New Zealand will be played at the Westpac Stadium, Wellington on Wednesday. The match starts at 12:30 PM IST. With skipper Virat Kohli rested for this series, Rohit Sharma will lead the side. India could include both MS Dhoni and Pant in the squad. The Kiwis have a good record against India in the shortest format of the game, they have won six times and lost just twice.